Woah, baby! A Sephora sale is upon us friends. No one likes paying full price for makeup, so it’s time to stock up on all your faves and buy those products you’ve had in your cart but haven’t pulled the trigger on yet. So here’s the deal – starting today, Rouge members get 20% off with code YESROUGE, VIB members get 15% off with code YESVIB, and Insiders get 10% off with code YESINSIDER. You can only use the discount code once online, but you can use as much as you want until 9/3 in store – run, don’t walk people! 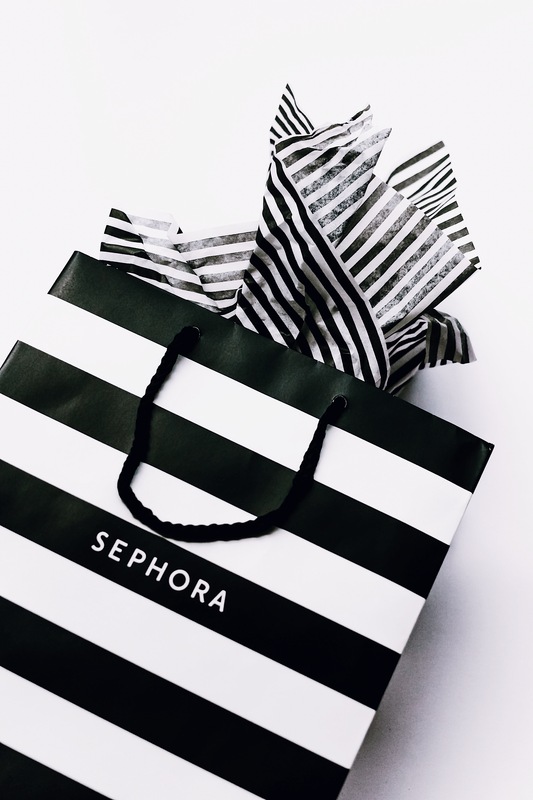 So in this post I’ll talk about what I bought during this sale (indicated with a *), plus some things I’ve bought at Sephora recently or in the past that I think are also worth getting! I’ll break everything out into categories: makeup, skincare and hair. This is going to be a long post, so buckle up. Makeup For Ever Ultra HD Foundation* | I go back and forth between foundations depending on what the temperature is outside and the condition of my skin, but I keep coming back to my Makeup For Ever Foundation. It’s the only foundation I’ve tried that doesn’t melt off by the end of the day, gives lightweight, seamless coverage, plus it looks amazing in photos. It’s also only of the only foundations that has perfectly matched my skin. I’ve only found one other that was a perfect match and it’s super frustrating, but when you find the perfect one you don’t let it go. Laura Mercier Tinted Moisturizer* | I use this on those days where I just want to wear “no makeup” makeup look. I really love this one because it’s oil free. I have combination skin, so my skin is really oily, but also super dry, and this tinted moisturizer prevents the oil from coming through, but also hydrates the skin as well as protect it from the sun. Hourglass Caution Extreme Lash Mascara* | I am a sucker for a good mascara. I’ve tried so many different kinds, but I just love trying new ones! One of my fave beauty bloggers claimed this was her holy grail mascara and her lashes are out of this world, so I had to get one for myself. It’s supposed to give a “sky-high lift” for extreme, dramatic lashes, and I’m so excited to try it out! See my post about my favorite drugstore mascaras here. Benefit Hoola Bronzer* | I’ve also tried a couple of bronzers in my day, but I’ve always really loved this one. It gives a really natural bronzed look, doesn’t go on too heavy and blends out really nicely. It doesn’t have 1,900 five star reviews for nothing, guys. NARS Radiant Creamy Concealer | This is my most favorite concealer of all time! I’ve been using it literally for years and it always comes through for me. It’s creamy texture makes it super easy to blend and a little goes a long way. I actually have 2 colors – one that’s a shade lighter to use under my eyes and around my t-zone, and one my actual shade to use to cover blemishes and stuff. I will always be die hard NARS fan. Too Faced Born This Way Etheral Powder | Wow, what more can say about this. I’ve been an avid Laura Mercier setting powder for a long time, but when I tried this I was absolutely blown away. It makes you literally look airbrushed and it gives you this luminous finish that is just so perfect. Urban Decay All Nighter Setting Spray | Like I said before, my skin gets super oily, but this spray really helps to mitigate that. I first started using it back in February when I went skiing, because I, of course, was doing a full face of makeup since we would be taking pictures and I wanted my makeup to last without me sweating it off. Let me tell you guys, this product is amazing because my makeup lasted literally all day and no sweat broke through at all! So now I use it every day in this Georgia heat and it hasn’t let me down yet. Makeup For Ever Step 1 Mattefying Primer | Another product that helps to mitigate my oily skin. This is the only primer that has ever helped do this for me and now that I’ve found it, I’m never letting it go. Olehenriksen Transforming Walnut Scrub* | I’m always looking for products that will help exfoliate my skin and this one was almost 5 stars, so it was a no brainer for me! Drunk Elephant T.L.C Sukari Babyfacial* | This is a product that I have been wanting for months, but could never justify the $80 price tag. However, with 20% off, I figured it was now or never! I’ve tried two other Drunk Elephant products that I’ve liked, but haven’t loved, but again, I’ve heard AMAZING things about this product and that it’s a skin game changer. It has 25% AHA and 2% BHA which are both great for exfoliating. It’s like giving yourself a facial, and it says it will literally “knock your cells off”! Olehenriksen Glow Cycle Retin-ALT Power Serum* | Retinol is such a necessary and powerful skincare product that everyone should be implementing into their skincare routine. I used to use a prescription level retinoid, but it made the scalp areas that surrounded my face peel so badly, I couldn’t stick with it. So when I saw this, I thought it might make a good alternative, and it has glowing reviews so we’ll see! Summer Fridays Jet Lag Mask | I brought this with me to Italy and it was a huge savior for my skin! My skin always freaks out on me when I travel, and I was dead set on not having a massive breakout in Italy. I used it on the plane ride over, and then every single night afterwards and it really made a world of a difference. It gives your skin that hydrating shot that it desperately needs when traveling. OleHenriksen Balancing Force Toner | Toners haven’t been something that have been a normal part of my skincare routine, but when I saw this one, I had to try it. It has really made a huge difference in my skin and it doesn’t produce an excess amount of oil like it used to. It helps to unclog pores and I’ve definitely noticed less breakouts since using it which gives it an A+ in my book. Herbivore Blue Tansy Mask | Another thing you probably know about me is that I’m also a sucker for a good mask. I would own every single mask out there on the market if I had the funds to do so. This one is definitely at the top my favorites list. The effects it has on your skin are insane, yet when you have it on it doesn’t really feel like it’s doing anything. It’s made with fruit enzymes (which gives it it’s delicious smell) and white willow bark which resurfaces your skin, leaving it smooth and radiant. I use this about twice a week and trust me, you’ll notice a difference right away. See my post about my other favorite masks here. Dr. Dennis Gross Alpha Daily Peels | I always have these treatments on hand because they do wonders for your skin. It works to smooth out the texture of your skin, fade dark spots, calms your skin and overall makes your complexion brighter. People even say it helped get rid of their cystic acne! I use the Extra Strength version, but they have a less intense one as well. It is expensive, but so, so worth it! 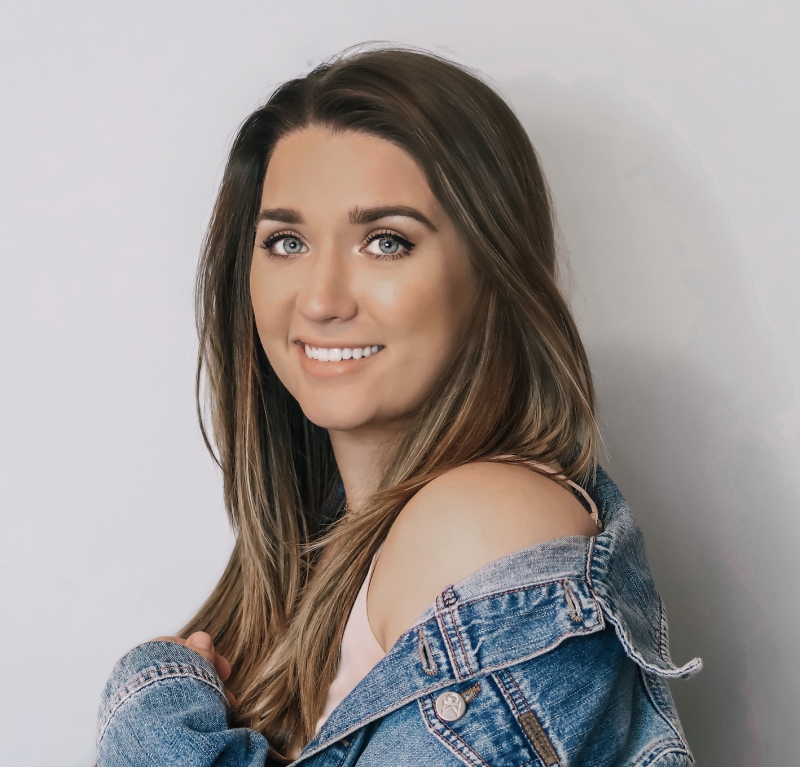 Briogeo Bloom + Blossom Volumizing Spray* | If you read my post reviewing my Ouai Volumizing Spray, you know that it has been one of my favorite products to use on my hair! I’ve been loving Briogeo products lately so I thought I’d give this a go. One of the things I like about this company is that they use all natural products. The volumizing spray is made of Ginseng and Biotin, which promote blood flow to your scalp which helps your hair grow. So not only will it make your hair look fuller and thicker instantly, over time it helps your hair get fuller and thicker also! Olaplaex Hair Perfector No. 3* | I’ve been looking for a good hair mask for a while now, and I’ve read rave reviews about this one, so I finally bit the bullet and bought it. I use tools on my hair almost every day, so I’ve been trying different products to mitigate the heat damage and this one is apparently a holy grail item. It has 4.5 stars and over 1,000 reviews, so that has to mean something! Briogeo Be Gentle Be Kind Shampoo + Conditioner | Like I said before, I’m a huge Briogeo fan. I loved the idea of this duo because it’s made of natural superfoods like kale and apple (which also makes it smell amazing). It’s essentially like a green smoothie for your hair. I love the feeling of my hair after using this and I really do feel like my hair is getting healthier from absorbing the nutrients. I bought the full size versions, but if you wanted to give it a test run first, they also come in this value pack. Briogeo Scalp Revival Microexfoliating Shampoo | I’ve suffered from dry scalp since I was in elementary school and I have tried so many products, both over the counter and prescribed by a dermatologist, and this has been the only product that makes the flakes disappear almost immediately! It has a minty smell and a very nice cooling effect on your scalp. Your hair also feels so clean and healthy afterwards. I hope they never get rid of this product because I will definitely continue to repurchase it. IGK First Class Detox Dry Shampoo | Who doesn’t love a good dry shampoo? We all have those days where we just don’t feel like washing our hair and so we rely on our dry shampoo to cover us for a couple of days. Let me tell you, this dry shampoo is NEXT LEVEL. Not only does it make your hair look freshly washed, but it also gives it volume so you look like a million bucks. I usually have to wash my hair every other day, but with this, I can go 5-6 days before having to wash it! If that’s not a hair miracle, I don’t know what is. Wow, that was a lot, but this sale is not to be taken lightly! A Sephora sale like this only comes around every so often, so when it does you have to pounce on it. What are y’all buying from the sale?